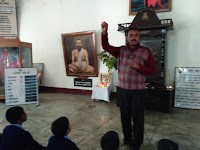 On 23rd January 2018, Our Vidyalaya observed Netaji Jayanti to pay tribute to Noted Freedom Fighter Netaji Subhash Ch. Bose. In the morning assembly Ku. 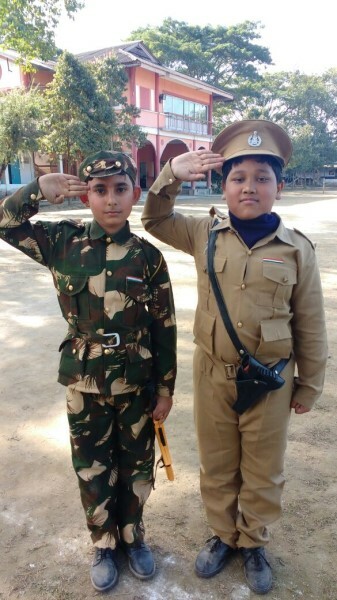 Preetom Talukdar, IX, spoke about Netaji followed by Patriotic songs sung by the students. A team from the Vidyalaya participated in a Procession took out in the town by Netaji Birthday Celebration Committee. at 1.30 p.m. 5 groups took part in a Quiz Competition held in Durgabari Auditorium. A team of Waste Management experts visited our Vidyalaya under Sri Sanjay Gupta from Switzerland to begin a beautiful mission of Clean and Green campus. They involved our students for about an hour and trained them about the work. Like Every year, this year too, on 22 January 2018, Vidyalaya celebrated Saraswati Puja in a pious and spiritual ambience. 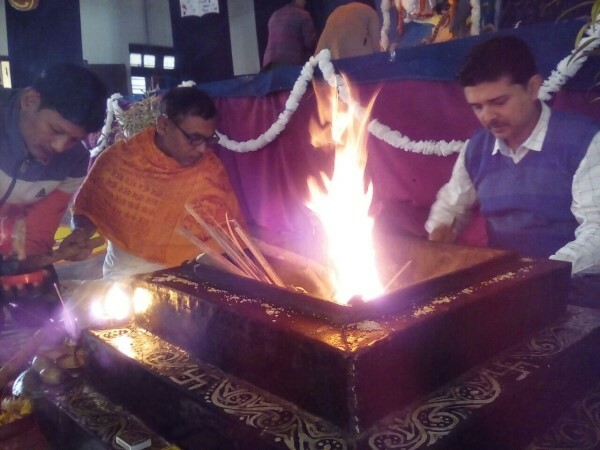 The puja started in the morning at 6 am. and concluded at 8, followed by Jagna. After the Bhajan sessions in both the assembly prasad was distributed among all. 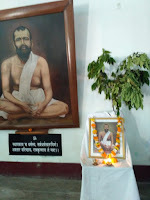 ‘Rupkonwar’ Jyoti Prasad Agarwala, the most significant literary and cultural icon of Assam. His death anniversary date 17 January is celebrated in the state as SHILPI DIVAS. Our Vidyalaya paid tribute to the most noted personality on this very day by arranging a series of cultural events in his memory. Teachers and students sung his songs and lyrics. Dance performance was done by secondary students in the morning assembly. 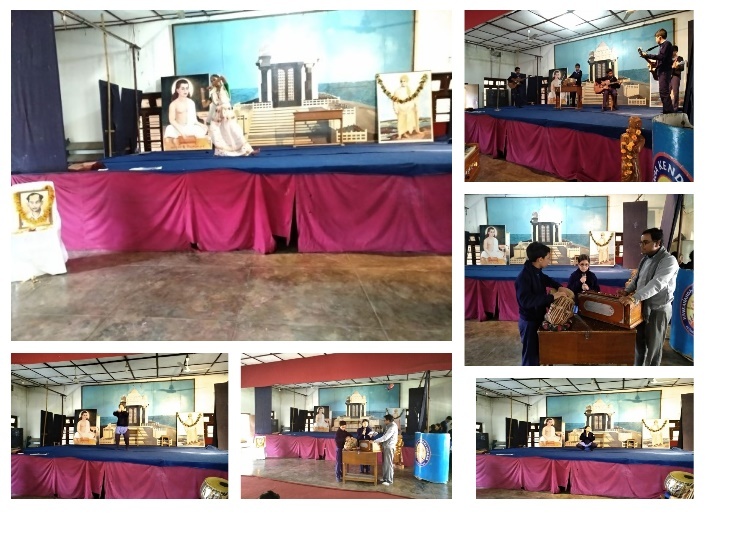 Instrumental presentation was done by students by playing tune of famous Jyoyti Sangeets. "All power is within you, you can do anything and everything! ", - Swami Vivekananda. The students of the Vidyalaya have worked hand in hand with teachers and other staffs to bring down Swamiji's quote to practice! 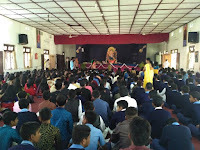 The Vidyalaya has celebrated the most significant and ever awaited porgramme, Swami Vivekananda Jayanti ( National Youth Day ) on 12 January 2018 in the School premises. The grand celebration, to pay tribute and to offer flowers at the lotus feet of SwamiJi, started from morning 6.30 a.m. with Marathan Race for the students of the Vidyalaya. The mini-marathan started from Tinsukia Thana Charali and ended in the Campus Gate of the Vidyalaya (approx. 4 km). 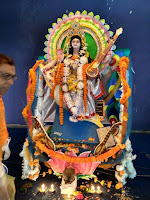 Later in the forenoon 10.30 am, a cultural programme was organised in the Vidylaya's playground. Around 2200 parents, students, well-wishes, members of the management committee and other dignitaries were present in the programme. 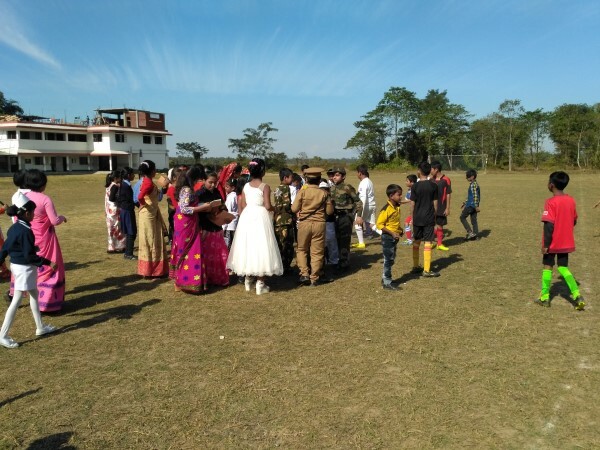 The Chief Guest was Dr. Purnendu S. Das, a Research Scholar and former Principal of Tinsukia Commerce College and a well-wisher of Vivekananda Kendra. Sri Satyanarayan Patwari, a socal worker and closely associated with Vivekananda Kendra, was the Guest of Honour for the day. 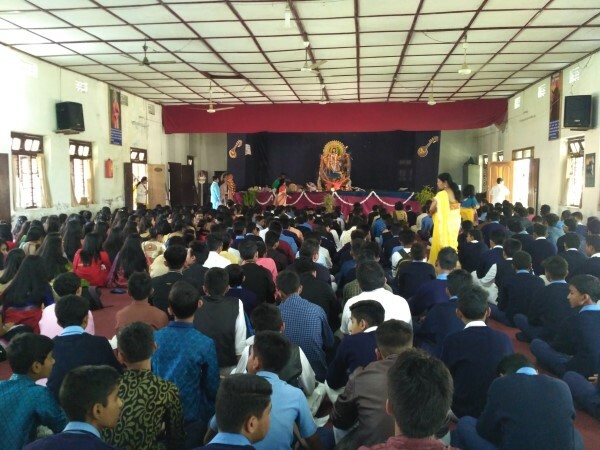 Students performed different events like Yoga, Bhajans, PuppetryShow, DanceDrama and many more programmes that were designed in tune with Swamiji's message and thoughts.In this programme, the Annual School magazine PRATIBHA was released. We are very happy to let all concern know, that the Vidyalaya has launched its first Quarterly E-magazine "VIVEK SANCHAR" in the programme. The same is available as a linked pdf file in the School website www.tinsukia.vkv.in for download and reading online. 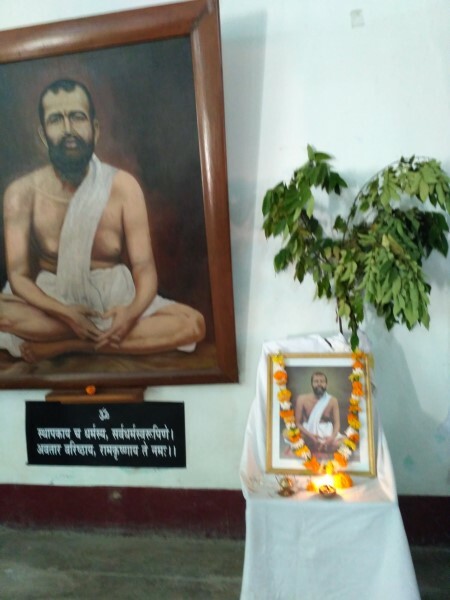 Kalpataru divas is the 1st Day of the English calendar in January, which is observed as the day when Sri Ramakrishna, the Great master revealed his godliness to the common disciples and fulfilled their spiritual and worldly desires. 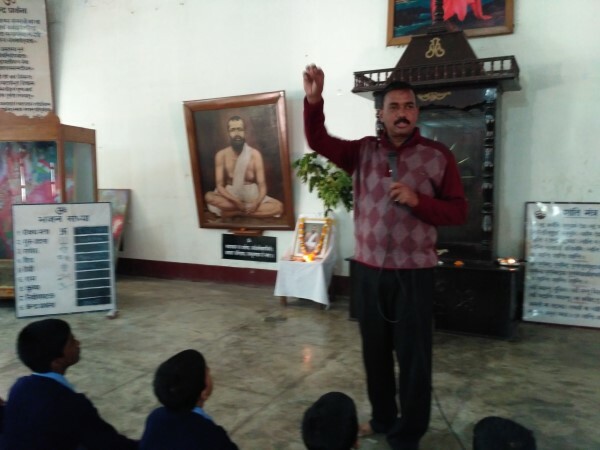 Along with the many branch centres and Ramakrishna mission centres, our Vidyalaya also observed the day with full enthusiasm and encouragement. 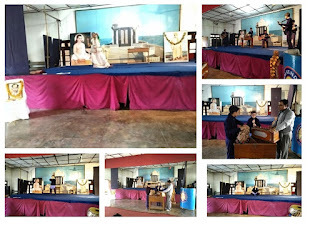 In both the assembly story related to Kalpataru Divas is told to the students. Sri Gurudev Sir narrated the importance of the day in secondary assembly. On the same day, ‘Go as you Like’ competition was organized for the kids.